Welcome to the NBX Group! Welcome to the NBX Group featuring 3Com NBX phone system products for all your business phone system requirements! We have 3Com NBX phone system products, licenses, and support services for all your business phone system needs. The NBX Group is designed to offer 3Com NBX business phone system end-users, resellers, and techs an opportunity to quickly and easily exchange questions, issues or solutions for the NBX business phone system. The NBX Group helps you find answers to some of the most troubling problems pertaining to business phone systems. Take advantage of relevant communication, and utilize the experience of others, through the NBX Group Forums. 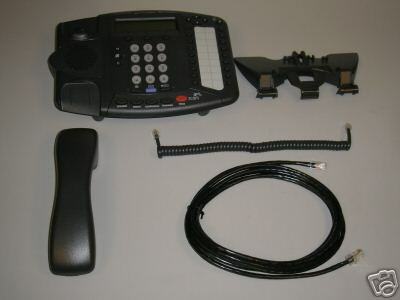 We are available by phone @1-800-544-0059 every business day to help solve 3Com phone problems. As Certified 3Com reseller with twenty plus years of experience in the telephony industry, Tele-Source Industries, Inc. provides NBX Group members with professional service and support for all of their 3Com NBX business phone system hardware and software integration needs. We will strive to be your #1 NBX sales and service solution provider. Please call us, toll free, at 1 800 544 0059 if we can be of assistance sorting out issues with your Dial Plan, hardware and / or software integrations, or those ever-troubling line code command errors ... ask for tech service consulting. We are authentic fans of the system, and want you to be happy with it as well. 3Com Phones Tips and Tricks to save YOU money!